FHM organized an awareness session on ‘Adolescent Changes’ for girl students of class 6th, 7th & 8th at Learning Paths School, Mohali. 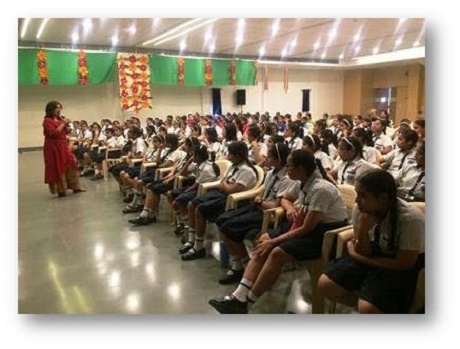 Dr Ritambhra Bhalla, Senior Consultant – Gynaecology & Obs, interacted with students and talked about physical, physiological, mental and emotional changes that occur during adolescence. Over 150 students attended the session.